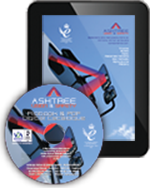 Brochures are often the first thing potential customers see so quality is critical. Our print processes and technical know how enable us to meet any requirement – quickly, economically and to the highest quality. Whether it’s a few hundred, low-cost A4 flyers to boost business or a full colour print run running into tens of thousands, we have the capacity to handle it and the expertise to help you get the most from your budget. We have extensive experience in the production of catalogues, price lists and product guides, working with customers of all sizes to ensure that their most important sales tools are delivered on time and on budget. Need large format printing for exhibition panels, banners, display materials, or in-store point of sale? Talk to us first and see how we can help. Whether online or on CD/DVD, we can help you get your product catalogue in front of your customers in a more convenient, cost effective form. Why not keep everything under one roof? Remember we can print all your business stationery such as letterheads, pads, labels, continuous computer forms, and even security cheques. Wondering what the difference between C4 and A5 is? Confused about roll-folding versus gatefolding your next leaflet? Check out our resources page for helpful information.